I found another recipe on pinterest that I wanted to try for breakfast. I didn’t want to make mini muffins so I adapted the recipe and made them normal sized. I was impressed with how low the calories were for these breakfast muffins. Plus, there was about 6 grams of protein in each one. Preheat oven to 350 degrees. 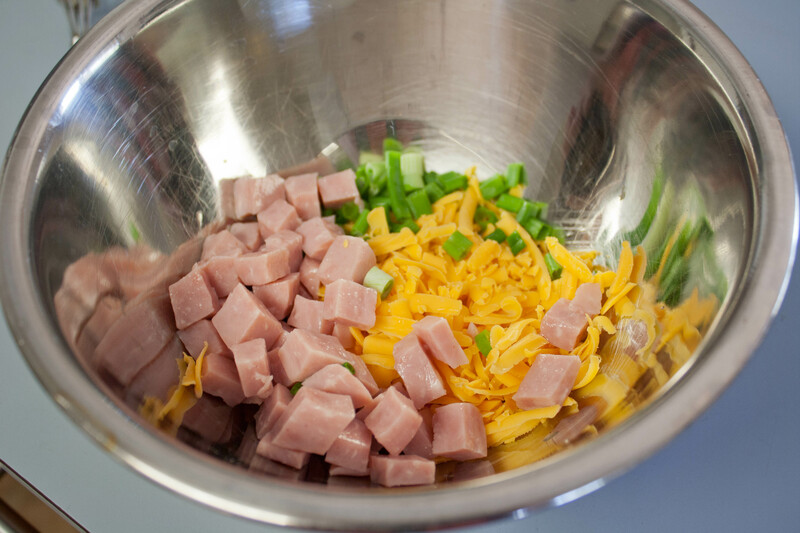 Combine all ingredients in a large bowl and mix to combine. Liberally spray a mini muffin tin with non-stick spray and spoon mixture to the top of each cup. Bake for 15-20 minutes, or until the edges of the cups are golden brown. Let cool for at least 5 minutes before removing from the mini muffin tin. TO FREEZE: Place baked cups on a baking sheet then freeze until solid and transfer to a freezer bag. Microwave for 20-40 seconds depending on how many you’re reheating. It was a super easy recipe and quick to throw everything together. I used sharp cheddar cheese because that’s what I had. While the quinoa was cooking in a mixture of chicken broth and water, I defrosted some shredded zucchini I’d frozen from last year’s garden. I am so glad I spent the time to shred it and freeze it last year! Will have to remember to do that again this summer. I whisked everything together. It was a tad on the soupy side but once it was baked, they firmed up nicely. I baked them for about 27 minutes. I only got 10 muffins out of halving the original recipe, and had I filled each one up to the fill it would probably be more like 8 muffins. They turned out great! And the kitchen smelled so good! I had one muffin and a piece of gluten free toast for breakfast and it was a great combo. I felt satisfied and full most of the morning. I ate my mid-morning apple around 11am and honestly, could have skipped it. I’m happy that I tried these breakfast alternatives. I will use this recipe as a jumping off point for trying other flavors and stuff. 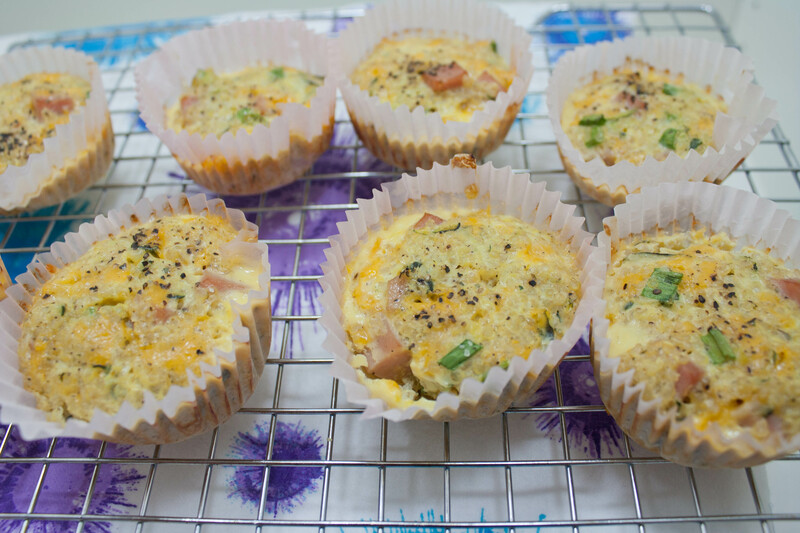 Of all the new breakfast grab-and-go recipes I’ve tried, I’ve liked the egg muffins the best. I found them more satisfying and tasty and they are very versatile–you can make them taste like whatever you want. These quinoa muffins were great but after a week of eating them I was over it. When I make this recipe again, I’d make less. Those look good and filling for sure. Can you make them and freeze them? I wondered that as well. You can probably freeze them. I haven’t tried it yet. Looks so yummy! 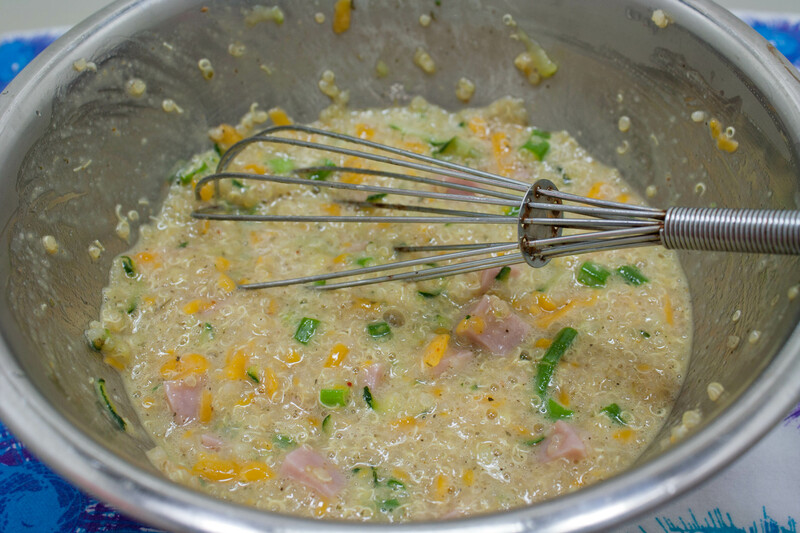 I find quinoa so messy… (I think it’s just me!) so I rarely cook with it. I’m a fan of quinoa. It’s so versatile. These muffins held together pretty well so it wasn’t messy. I know what you mean. I find cooking it in chicken broth instead of water helps. I’ve been eating my Pillsbury breakfast muffins all week – love that just a pan of muffin tins on the weekend can provide breakfast for a whole week – just switch out the fruit each day. And I much prefer savory over sweet breakfasts – I’ll have to give these a try! Biz recently posted..So I am a little more famous than yesterday! Yep! 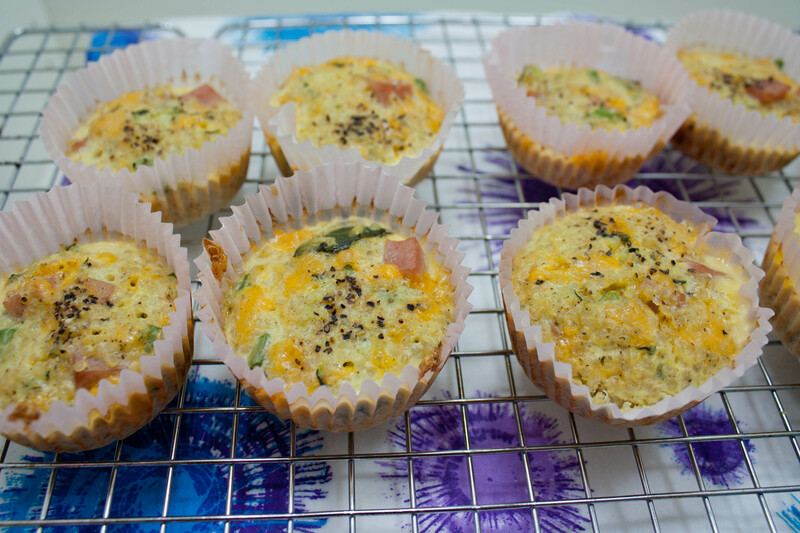 I love the breakfast muffins–with quinoa or the egg. It’s the perfect amount for breakfast. I’ve bookmarked this, thanks for the great recipe Lisa! I hope you like it Roz! I have tried any of these egg-muffin recipes, but I’m getting tired of my usual breakfast, so maybe it’s time for something new. This was a nice change. Give it a try.